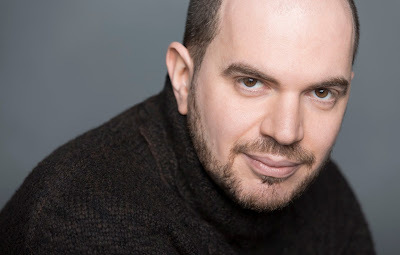 This weekend will be another great classical Houston Symphony Orchestra music concert at Jones Hall in Houston as it will feature virtuoso pianist, Kirill Gerstein, as the soloist in Brahms magnificent Piano Concerto in D minor. The HSO's dynamic young music director, Maestro Andres Orozco-Estrada, will lead our great orchestra. To open the concert will be Bela Bartok's "Music For Strings, Percussion and Celesta". From Mr. Gerstein's web site: Kirill Gerstein was born in Russia in 1979 and came to the United States at age 14. "An American citizen since 2003, Mr. Gerstein now divides his time between the United States and Germany." The fetching Mrs. B and I, as patrons and donors of HSO, will be blessed to be at the rehearsal of the Brahms concerto on Wednesday night. This will be the first time I have been at a rehearsal of the Houston Symphony Orchestra with Maestro Estrada, and I am really excited and looking forward to this. From the Houston Symphony Orchestra website: "Andrés leads a guided tour of Bartók’s masterful Music for Strings, Percussion and Celesta. Famously featured in Stanley Kubrick’s The Shining, this innovative work combines modern sophistication with the visceral excitement of Hungarian folk music. Houston favorite Kirill Gerstein returns for a performance of Brahms’ powerful Piano Concerto No. 1, a deeply personal work often praised as a veiled symphony for its ambition and scope." Thank you for coming to Houston Mr Gerstein! My wife and I will be looking forward to seeing you in rehearsal on Wednesday night at Jones Hall!